Discussions and case analyses facilitate participant “probing” into why they went astray and recommitting to professional ideals. This course is designed to fulfill licensing board or credentialing requirements for remedial education. To date, participants have come from 48 states plus seven Canadian provinces. 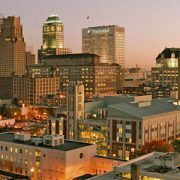 The PROBE Program is offered in Denver, CO, Raleigh, NC, and Newark, NJ at different times throughout the year. The PROBE Program in Canada is also offered in Toronto, ON, and Vancouver, BC at different times throughout the year. 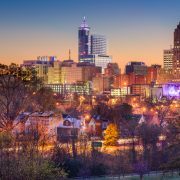 There will be 12 U.S. sessions offered in 2019. Please Click Here for a list of available sessions. How do I enroll in PROBE? Enrolling in PROBE is easy. Simply Click Here to access the registration page. What do past participants say about PROBE? Who is eligible for PROBE? PROBE is open to all healthcare professionals and trainees. This includes physicians, nurses, pharmacists, dentists and dental assistants, physical therapists, chiropractors, medical students, residents and others. Every session is multi-disciplinary and is not restricted to one specialty or degree. 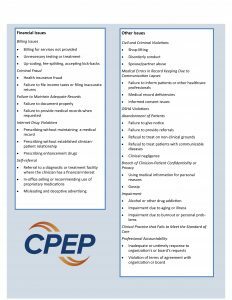 If you have any questions about pricing, please contact a CPEP education professional at (303) 577 – 3232 or email info@cpepdoc.org. Participation in PROBE is confidential. CPEP does not discuss a participant with any parties except those for whom a participant-signed release is on file. Note: Most licensing boards or credentialing bodies will require participants to sign a release. While sharing and addressing confidential information among participants and faculty during the PROBE sessions is essential to the success of the Program, any acknowledgment or discussion of confidential information outside of the meeting room is explicitly prohibited by mutual agreement at the outset of the session. What types of violations or infractions are addressed by PROBE? What to expect after enrollment? Conditional Pass: Participant has largely demonstrated the ability to think ethically about their reasons for referral, but the faculty believe there are still certain areas that could benefit from additional work. Note: Many licensing boards and credentialing bodies will require a grade of Unconditional Pass in order to fulfill the requirements of their orders. 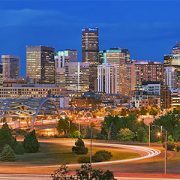 UCHealth Memorial Hospital designates this live activity for a maximum of 25.25 AMA PRA Category 1 Credits ™. Physicians should claim only the credit commensurate with the extent of their participation in the activity. 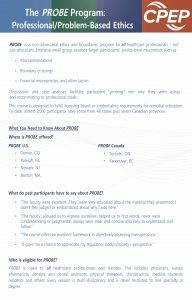 PROBE Plus is a personalized, in-depth, follow-up module to the PROBE Program, providing six months of structured interaction every two weeks between an individual PROBE participant and a PROBE faculty member. PROBE Plus provides an option for any referring entity that determines a longitudinal follow-up to the PROBE Program is appropriate. 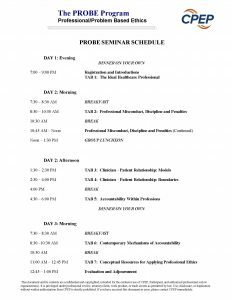 With its curriculum of scheduled telephone conferences, readings, discussions, literature searches, and writing assignments, one might think of PROBE Plus as an ethics monitoring program. PROBE Plus is only for individuals who have already completed the PROBE Program. Participants who earned an unconditional pass in the PROBE Program automatically qualify. Those participants who earned a conditional pass will be assessed for their appropriateness for enrollment on a case-by-case basis. Participants who did not pass PROBE do not qualify for PROBE Plus. How do I enroll in PROBE Plus? To enroll, the participant should submit a completed enrollment form along with tuition payment to CPEP within three months following the completion of the PROBE Program. The participant will then receive the name and contact information for the faculty mentor. To learn more about registering for PROBE Plus, please call 303-577-3232. What is the process and timeline? Upon enrollment, the participant will receive materials describing the activities and expectations for the six month program. The participant and the assigned faculty mentor will establish the dates for scheduled conference calls over the course of the program. In the initial telephone conversation, the participant and the mentor will review the aims, components and process of PROBE Plus and set specific expectations. The mentor will draft an agreement, including a schedule of dates for additional telephone conferences and for submission of written work. Initially the participant will submit written work to the faculty mentor every two weeks, but this schedule may be amended by mutual, written decision of the mentor and participant. Written work includes a journal of reflections that will help to identify specific goals for the mentoring process that follows, as well as a final essay that will address material arising from the journaling, phone conversations, and concerns of the referring entity. The faculty mentor will then prepare a written report that evaluates and assesses the participant’s overall level of success in meeting their goals and applying what they have learned to their daily practice. The faculty mentor will provide interim feedback to the referring entity if requested or as needed. At the end of the six months, the mentor’s summative letter of evaluation will assess the participant’s overall level of success in PROBE Plus and confer a final grade of either pass or fail. Both the participant and the referring entity receive the final evaluation. The fee for PROBE Plus is $2,500.